As I write this I am looking out on the Parish Church of St. Laurence. Complete peace and quiet save for the church bells which are chiming “home sweet home”. Those of you who know Shropshire will realise I am in Ludlow. After twenty years in London we decided to up sticks and downshift to the country. Why Ludlow? No space and probably not the place to explain here. Years ago we wouldn’t have had these existential issues to contend with would we? – Where shall I live? What shall I do? We moved here on 14 May. What fortunate timing with Ludlow’s last meeting of the season the following day- the only evening meeting of the year. Strangely the track doesn’t race on Saturdays or Sundays. (Apart from a one-off additional Sunday fixture granted in March.) Apparently the Golf Club takes precedence. What a shame. My racing pal Adrian had come over for the evening and we set off for the track in glorious sunshine. The track is just a couple of miles north of the town. Only fifty-one runners were declared for the six-race card. Some scope for Placepot perms though with three five-runner races. Here is my strategy for five-runner races. You leave out the horse you expect to start favourite and include the other four. Your best result is if the favourite is unplaced then you have two units going forward - but only one if the market leader is in the frame. Where this strategy can really come good is if there is a late non-runner (i.e. after the meeting has started.) If the expected favourite is the non-runner you have all four selections covered and a dividend enhancer if the third or fourth best wins. If one of your four doesn’t go then this stake, of course, transfers on to the SP favourite. And you are covered again! 1x2x4x4x1x2 = 64@£1 =£64 staked. McCoy was edged into second place in the first as Richie Forristal rode his first winner of the year. 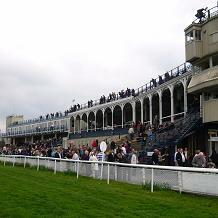 The second race was a trappy looking fourteen-runner handicap hurdle. I’d made only two selections, Russian Court and Musally. Both were well out the back going into the final circuit, the commentator remarking: “Russian Court has been completely switched off in rear”. Coming into the home straight Musally suddenly came from last to first to win comfortably. Russian Court was still switched off. Dream scenario in the next – late non-runner, field reduced to four runners! Enrique made every yard after a twelve-month layoff to score by six lengths. Not a bad result, only 5/2 but was actually returned third favourite. This was in contrast to the fourth race when the worst possible placings transpired as second favourite Il Capitano squeezed out (non-selected) favourite Pure Fun. The facilities here I would say are quite good for a small track – except the view as they go down the far side. From a number of points in the main grandstand it is difficult to follow the race because your view is restricted by an old stand in the middle of the course. This needs to be pulled down – or at least the metal framework should be removed. Anyway that was to be our last race viewed from the grandstand as we were intending to get away quickly after the fifth. The rain was starting to fall so we found the car in the middle of the track and watched the race from there. A banker race for Placepot purposes and Air Attaché did not disappoint by winning at 8/11. 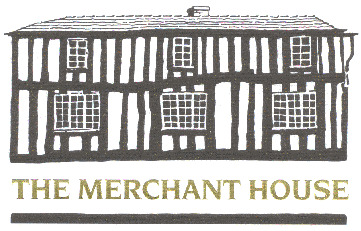 Placepot was still running but no time for the last as we headed back to Ludlow for dinner at The Merchant House. I had booked a table at this Michelin star restaurant some two weeks back. Just recently Restaurant magazine had announced that it was the second best restaurant in the U.K. and the fourteenth best in the world. It had also been named the world’s top restaurant for outstanding value. As you know I like a bit of value. As we entered the tiny seven-table dining room, we didn’t really know what to expect. Lots of nice “nos” here: No smoking, no music, no tablecloths, no saltcellars, and no menus. Only kidding about the last one! The menu is restricted though, a three-course meal whereby you perm any one from four three times. Shaun Hill the proprietor and chef wouldn’t have decided what was on tonight’s menu until that afternoon, hence my comment about expectations. With calf’s sweetbreads and quail amongst the starters and pigeon as a main course option there was plenty for the adventurous palate. Adrian and I both played safe with fish choices, lobster with chickpea, coriander and olive oil sauce to start followed by grilled sea bass in a mustard sauce served with asparagus. Local strawberries and brandy ice cream for me and apricot and amaretto tart for Adrian . A bottle of house white at £14.20 and £33 per head for the food including service. Even though they don’t serve Coca Cola, I think Michael Loser would have called the meal historic. The Jacobean building certainly was. I’ll just say I thoroughly recommend it. The couple on the table next to us had made a day trip from Derbyshire specifically to eat here. I told them I’d sold our house in London and moved to Ludlow yesterday so that I could eat here on a regular basis. I think they believed me! Whilst we were finishing the sweets I fumbled with the wap connection on my mobile to check the last race result. Thankfully my two selections were both placed and the Placepot dividend paid a respectable £40.30. So £80.60 to come, no great winning night but strangely my returns were almost exactly the same as the restaurant bill. With two other Michelin star restaurants to check out in Ludlow, I think I am going to enjoy it here. Shame about the lack of weekend fixtures though.